BALKAN EXPERT - Travel different! Arrive to Nikola Tesla International Airport of Belgrade, and transfer to your hotel. The rest of the day is free. Enjoy today a city tour of Belgrade, capital of Serbia since 1403, when Despot Stefan, son of Tsar Lazar, moved his palace here. We will start our day by cruising the streets of Belgrade. First we'll be heading to New Belgrade on the left bank of the Sava River in order to see some Communist-style apartment blocks and to pass by the Sava Congress Center before continuing to Zemun - once a separate town, but now part of greater Belgrade, where we will enjoy the old Tower of Gardos . Then we will return to the old part of the town to pass through the luxurious residential area of Dedinje. 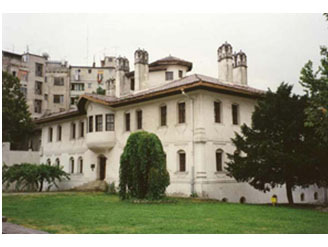 We will stop to pay a visit to the Memorial Complex of Josip Broz Tito. On our way to the old center of the city we will see the new church of St. Sava. This is the third largest Orthodox church in Europe, being built at the place where in 1594 Sinnan Pasha had the holy relics of St. Sava burned at the stake. We then see the Federal Assembly building of former Yugoslavia and palaces from the Serbian dynasties until WWII. In the afternoon we will continue our tour from the elegant Republic Square, where we'll make a close inspection of its architectonic monuments such as the National Theatre and the National Museum. Then we will stroll along unavoidable Knez Mihajlova Street – the main shopping and meeting place, in order to see a few other masterpieces of Belgrade's architecture such as the Serbian Academy of Sciences and Arts, followed by the visit to the oldest quarters of the 19th century with the 'Question mark sign' Inn, Princess Ljubica's Residence (now housing a permanent exhibition of original furniture), the Patriarchy and the Orthodox Cathedral. Walking through the streets of the old part of town we will arrive to the fortress of Kalemegdan, which is the symbol of Belgrade situated at the mouth of River Sava flowing into the Danube. We start our visit with the Upper fortress area. It includes well-preserved artillery structures dating from the mid-18th century as well as a medieval fortification - an acropolis with original or partly reconstructed ramparts, gateways, towers and the excavated ruins of a 15th century castle. A few Turkish monuments and some older, ancient Roman remains also lie in this area. In this section of the fortification complex we will see the elegant 18th century Baroque Clock Tower and the Roman Well. 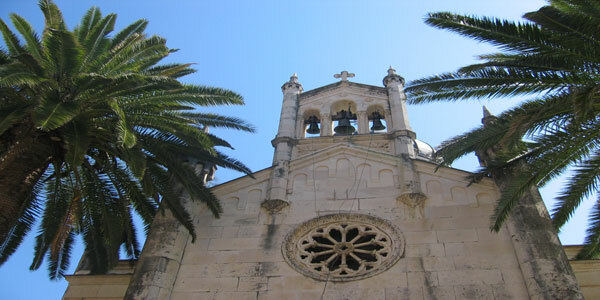 Tour of the Eastern Ward includes the Rose Church of Our Lady along with a panoramic view of the Lower fortress and its monuments - the Nebojsa Tower, the Baroque Gate of Karl VI, and the remains of the medieval Metropolitan Palace. In the evening enjoy your dinner in the atmosphere of the local bohemian quarters of Skadarlija with typical food and music. We will take a drive on the old road north, crossing small villages of the province of Vojvodina and the region of Fruška Gora - the only hill in the entire Panonia Valley. Located on the slopes of this hill are 17 medieval monasteries which for several centuries represented the spiritual center of the region and are often labeled as the Serbian Mt. Athos. We will stop at Sremski Karlovci. 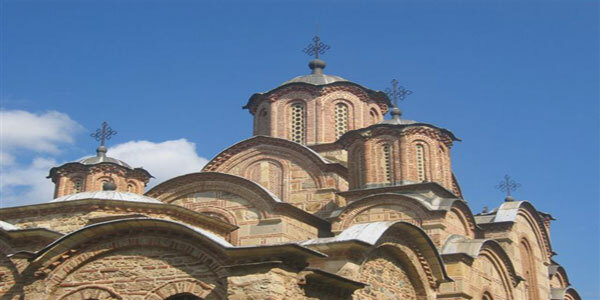 It is a picturesque baroque town which was a Serbian religious and educational center in 18th and 19th century. There, we will enjoy the Baroque-style fountain from 1790 and the Karlovci High School. This site dates from the end of the 19th century and contains decorative elements reminiscent of mediaeval Serbian buildings. We will also see Patriarch's Palace, once the most imposing building in the whole region, as well as the Cathedral from the mid-18th century, and many others. We will make a stop for lunch in typical “charda”, a small restaurant usually built to float on the river, which serve great freshwater fish specialties . En route to Novi Sad we visit the famous fortress of Petrovaradin, built in the 17 and 18th centuries, and once called "Gibraltar on the Danube". This Austrian artillery fortification is situated above the river and represents the second largest structure of its kind preserved in Europe. Built by Austrians at the spot of former Roman, Byzantine and Hungarian settlements, the fortress plays a very important role in life of the town even today, as many cultural events are organized there. 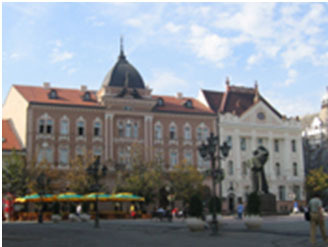 Novi Sad is one of the biggest cities of Serbia and is a capital of the region of Vojvodina. It is a modern, lively city with lot of growing businesses, but, at the same time, with a beautiful taste of the past. We will have a walking tour of the very center of modern Novi Sad to the main Orthodox Cathedral, main Catholic Cathedral, and then continue to have a walk on the famous Dunavska street. Evening return to Belgrade. Dinner on your own. We will begin our day today by a voyage to the distant past. Driving down the banks of the Danube and we will soon arrive to fortified town - Golubac, one of the best preserved medieval towns in Serbia. 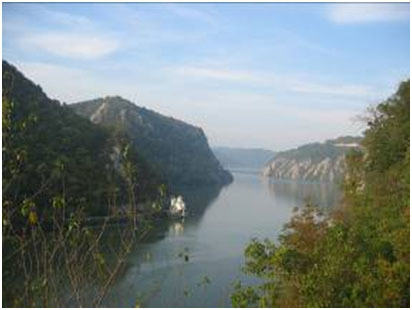 It is located at the entry of Iron Gate Gorge on the Danube (the biggest gorge in Europe) and it is dated to 14th century. A short drive down the Danube will take us to Lepenski Vir. Dated to 6000 years BC, it is the settlement of one of the oldest Neolithic civilization in Europe, and a whole era was named after this site. As the myth says, it was founded by one of Noah’s sons after the deluge. We will visit the site where many houses of the village from that era can be seen together with famous and very unique sculptures in the shape of human heads. Dinner in the hotel. Gamzigrad, our next stop today, was built by the Roman emperor Maximilianus Galerius - Diocletian’s son in law, who named it after his mother Romula, at the end of III century AD. We will witness the once wealthy palaces and villas, beautiful mosaics, and many churches and squares. There is a theory that this once was a very important town and residence of the emperor. Since 2007 this palace is listed as an UNESCO Word Heritage site. We will also get to know Niš, the second largest town in Serbia. This city is most famous as the birthplace of Constantine the Great. It is situated in the Nišava valley, near the spot where it joins the Južna Morava River, one of the most important Balkan and European traffic lines along which peoples, goods and armies moved. Known as the 'Via Militaris' in Roman and Byzantine periods and the 'Constantinople road' in the Middle Ages and the period of Turkish rule, these roads still represent major European traffic arteries. Niš is one of the oldest cities in the Balkans, and has from ancient times been considered a gateway between the East and the West. 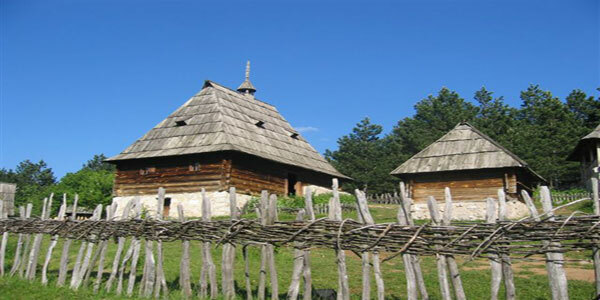 There is abundant archaeological evidence that Niš was inhabited even in prehistoric times. The city was named after the Nišava River, which was called Navissos by the Celtic inhabitants of the town. Each new conqueror gave the town a new name: Roman Naissus, Byzantine Nysos, Slovene Niš, or German Nissa. We will see Niš Fortress, a complex and very important cultural and historical monument that dominates the urban nucleus of the city. The existing fortification is of Turkish origin, dating from the first decades of the 18th century. It is known as one of the most significant and best preserved monuments of this kind in the Balkans. Dinner in the local restaurant. At the beginning of the 19th century it was crucial that the Serbian state liberate Niš from the Turks. In 1809, the strong Serbian insurrection army of 16.000 soldiers, created six trenches for defense near Niš. The Turks attacked the main trench on Čegar Hill. The battle lasted the whole day. As one witness stated, "the Turks attacked five times, and the Serbs managed to repulse them five times. Each time their losses were great. Some of the Turks attacked, and some of them went ahead, and thus when they attacked for the sixth time they filled the trenches with their dead so that the alive went over their dead bodies and they began to fight against the Serbs with their rifles, cutting and sticking in their enemies with their sabers and knives”. The Turks eventually overran the main trench on Čegar Hill after this fierce fighting. Casualties were heavy on both sides, with the Serbs losing three thousand soldiers and the Turks nearly twice this number. After the battle of Čegar Hill, the skulls of the dead Serbian soldiers were built in a tower, called The Skull Tower, on the route to Constantinople. It was done by order of the Turkish pasha Hurshid, the brutal Turkish commander of Niš at that time. Rectangular in its base and three meters high, Skull Tower was built out of 952 skulls of the Serbian heroes as a warning to the Serbian people. In 1892, a chapel was built over the skulls, which now protects the 58 remaining skulls. Skull Tower is a unique monument in the world, and it faithfully depicts the true nature of the Turkish crimes against the Serbian people. This morning we will take a nostalgic journey by the old steam engine “Šarganska Osmica” for 15km, crossing breathtaking scenery through 20 tunnels, 10 bridges and across many viaducts. 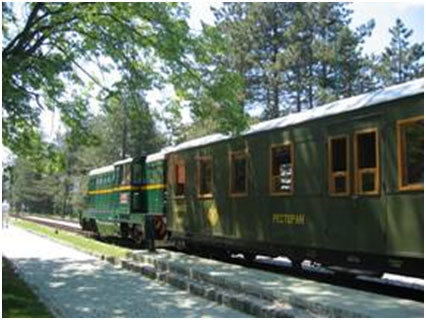 Once, this narrow gauge train, affectionately known as the Ćira (Chira), used to be the only traveling solution for the people of the area. The train cut its path through the astonishing landscapes of Serbia and Bosnia, on its way from Belgrade to Sarajevo, and further on to Dubrovnik. Now it is possible to ride a 15km part of it, famous for its curves in the shape of the number 8 that made it possible to climb the steep slopes of the mountains Šargan and Mokra Gora. The track was reconstructed in 1999.During the ride, the train makes a few stops, one of which lasts 20 minutes to let you take some fabulous photographs, enjoy the views, or have a refreshment in the cafe of a tiny and charming 'railway station'. Latter we cross River Drina bordering Serbia with Bosnia & Herzegovina. Visegrad is nestled here in the valley at a particularly beautiful point. Just like the well-known city of Mostar, Višegrad also has a famous stone bridge that hails from the Ottoman era. The bridge in Višegrad was designed by the famous Ottoman architect Sinan and completed in 1571. It is an Ottoman structure of pumice stone, and was the inspiration for a novel by Ivo Andric, “The Bridge On The River Drina” which got him the 1961 Nobel Prize for Literature. This morning we will take a drive trough beautiful countryside to the Monastery Studenica (UNESCO site), founded by Stefan Nemanja. 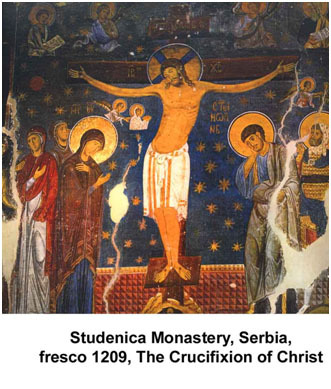 This is considered to be the crowning achievement of medieval culture and art in Serbia. The monastic complex consists of the fascinating Church of the Virgin (1183 - 1196), the Church of SS Joachim and Anne (also known as the King's Church) and the Church of St. Nicholas, a simple single-nave building. The monastery circle contains monuments raised over a period of 130 years, and several Serbian rulers had a hand in their construction. At the start of this period, the young Serbian feudal state under Stefan Nemanja was consolidating its independence, and by King Milutin's reign it had reached the height of its political, cultural and economic power. The strengthening of the medieval state and of its ruler's might is naturally reflected in these monuments. After short drive south we will visit one of the most treasured sacral buildings of the Nemanjić era, the Monastery Sopoćani. It is an endowment of King Uroš from the 13th century, and its mural painting ranks among the most magnificent and beautiful in European medieval art. The monumentality of Sopoćani frescos, the harmony of colors, and the refinement of expression were all responsible for being granted a place on UNESCO’s World Heritage list. Dinner in the hotel. In the morning we will follow the canyon of the river Ibar to the north before arriving into the area of central Serbia called Sumadija, and we will continue trough this hilly region, known as the cradle of Serbian uprisings against Ottoman rule in the 19th century. Upon arrival to Topola, we will visit the Residence of Karadjordje (now a museum dedicated to the leader of the First Serbian Uprising), the Church of Our Lady, built by Karadjordje (1811-1813), and two stone towers which are left from what was once a mighty fortification. Then, a short drive away is St. George Church, built after WWI by the King of Serbia, Petar I, on top of Oplenac. 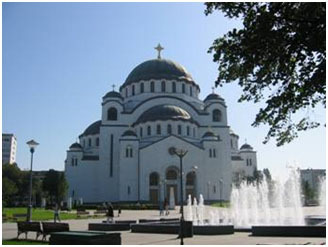 This church is unique among all the monuments in Serbia, with columns made of marble, an iconostasis of local marble, and mosaics covering almost 3,500 sq. meters, which include 725 scenes and 1,500 human figures. Next we will visit Bukovička Banja and its attractive park ornamented with many white marble sculptures. On our way back to Belgrade we will make a brief stop at the village of Orašac, where the historic meeting of Serbian rebels took place in 1804. Dinner in the hotel.